We cannot even imagine leaving house without a trench coat. Everyone has that one piece which they just adore and wear. The trench coat is one of those items that every woman should own — it's basics 101 when building a wardrobe. These timeless designs are the perfect weight for in-between seasons, and make an outfit look tailored in just one step. Take it to the trenches! This polished coat is the perfect choice for any fall occasion. 1. The classic neutral trench is a timeless piece for a polished look. 2. Leopard & orange make a lively ensemble anything but ordinary! 3. We love this two-tone trench paired with a printed top! 4. This black trench paired with a classic white button down, printed skirt & statement necklace emanates elegance! 5. Make a statement by pairing your winter trench with a bright long skirt. 6. We're crazy about this trench and peplum dress combo! 7. 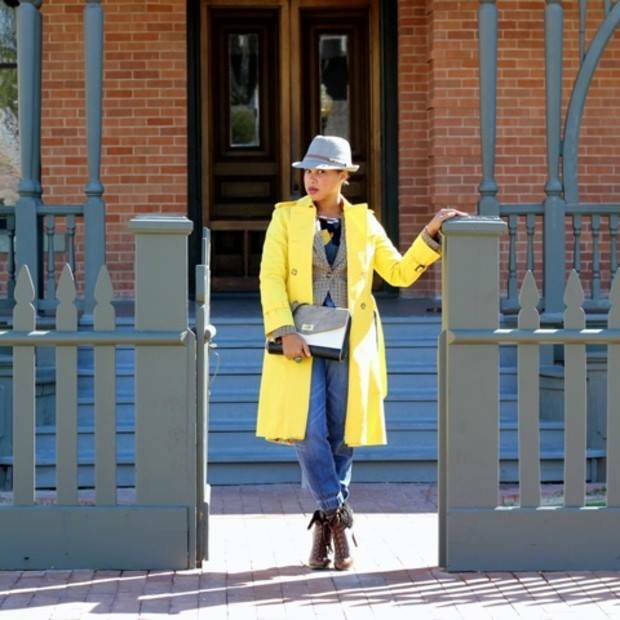 Rain or shine, bright outerwear is a great way to let your personal style shine through! 8. A fur collar adds a glamorous finish to a classic trench. Over a period of time, trench coats have become much more than just a necessity. It is a fashion statement, something which is personal about your style, your own unique look. Share your trench coat fashion statement with me!